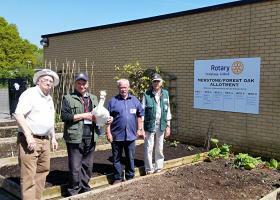 Welcome to the website of the Rotary Club of Solihull St Alphege. Please scroll down to find out more about us. 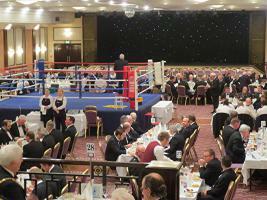 We have been running a Charity Boxing Dinner for over 25 years. 2018 saw a heavy snowfall but although numbers were down on the night we still went ahead and those who came had a great night. 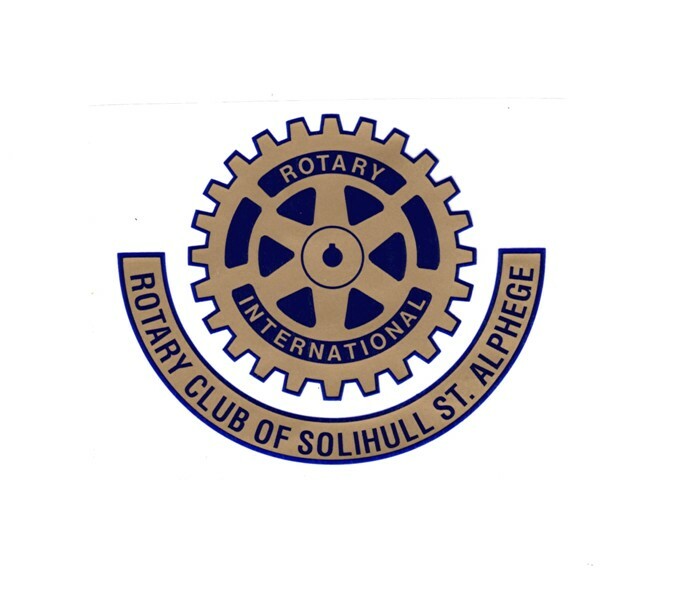 The Rotary Club of Solihull St Alphege Now has 32 members. As a club we are very much focused on involvement in the local community, fellowship, fun and business to business networking. Hey! We are now on Twitter (@StAlphegeRotary) and we have a Facebook Page and a Facebook Group. On 11th May 2019 we are holding an evening with Tricia Stewart the founder of the "Calendar Girls"Rotary Awareness" evening. Our 32nd Charity Boxing Dinner was held on Friday 1st March 2019 at the National Conference Centre next to the Motorcycle Museum. Fortunately we did not suffer any inclement weather which was so disruptive last year. 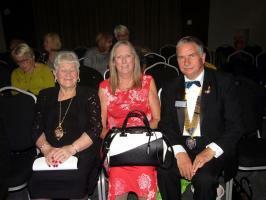 We were honoured to have Solihull Mayor Flo Nash in attendance and also our District Governor Gary Dancer. The event was a great success with twelve bouts between boxers from Solihull ABC vs "the Rest of the World". the boxing was excellent with plenty of action! We managed to raise in excess of £7,000 for the year's charities which include the Marie Curie Hospice, Solihull Young Carers which is now part of Solihull Carers Trust and numerous other local charities and Club initiatives. In the past 30 years, through this event, we have raised over £300,000 for local charities. If you have a query or are interested in joining our club please use the contact form facility by using the 'Contacts' tab below.